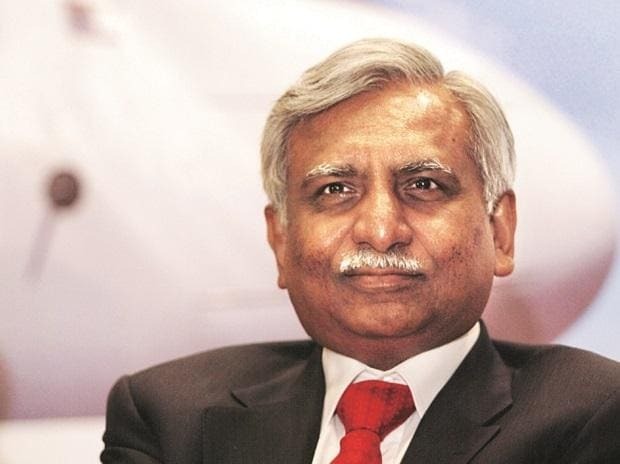 Jet Airways Monday defaulted on payment to its debenture-holders--the third default since January--even as airline chairman Naresh Goyal assured the employee of a resolution in the immediate possible time, but said more time is needed to clinch bailout. Goyal, in a letter to the 16,000 staff, which comes ahead of the domestic pilots' body National Aviator's Guild annual meeting here, said talks with the airline's strategic partner Etihad Airways and SBI-led lenders are going on. Though Goyal sought more time to clinch the deal, he did not offer a timeline for the same. The UAE flag carrier owns 24 per cent in Jet and its board is considering a draft agreement as part of a debt- recast plan being mooted by the airline's lenders led by SBI. Earlier, Jet informed the exchanges that "the payment of interest due on March 19 to the debenture-holders will be delayed owing to temporary liquidity constraints." This is the third time the airline is defaulting in this year as earlier it failed to meet its payment obligations towards the domestic banks' loans (in January) as well as on part-repayment of its external commercial borrowings due to liquidity crunch earlier this month. The airline, which has a debt of over Rs 8,200 crore, did not specify what is the quantum of interest due Tuesday nor quantum of the debt on this particular account. On February 14, its board had approved a bank-led- resolution plan, whereby the SBI-consortium of lenders will become the largest shareholders in the airline and Goyal would exit the management as the chairman and board member. In his letter to the employees, Goyal said, "the situation, though complex, has my personal attention towards an early resolution...the complexity of the process though has led to some delays and will require further time to conclude." "Once again I assure you that I am personally committed to have the resolution process completed as soon as possible and restore the much-needed stability to our operations at the earliest," he said. Since a larger number of planes from its over 100- fleet are grounded leading to drastically curtailed operations, the airline is struggling to prevent a nose-dive somehow. Of this, as many as 41 aircraft are grounded for non- payment of lease rentals to lessors. Following this, the airline has indefinitely suspended its operations from Abu Dhabi, one of its two global gateways the other being one in Amsterdam. "This will ensure the sanctity of our schedule, while keeping the regulatory authorities briefed," said Goyal, who set up the airline after converting his airline ticketing business a quarter of a century ago. "We are holding our annual meeting Tuesday. During the meeting, besides discussing our general issues, we will also be deliberating on the present scenario (non-payment of salaries)," a source told PTI earlier in the day. The airline has, so far has grounded 41 planes only on account of non-payment of lease rentals. These don't include other planes which have been taken out of operations for maintenance.